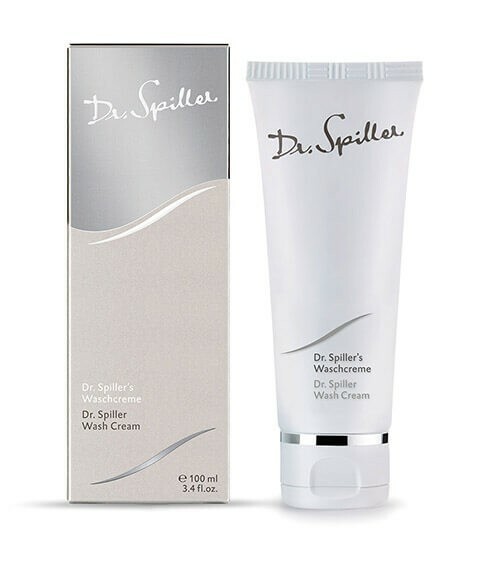 Dr. Spiller Wash Cream is a creamy, mild cleanser that reliably removes residue from the skin. Based on a skin-friendly oil component, Dr. Spiller Wash Cream leaves the skin feeling supple and well-nourished. It is ideally suited for lipid-deficient and sensitive skin. Use Dr. Spiller Eye Make-up Remover to remove eye make-up, if needed. Apply a hazelnut-sized amount of Dr. Spiller Wash Cream to face, neck and décolleté, emulsify with moistened fingertips and then remove using lukewarm water. Finish by toning the skin with appropriate facial toner.